Dapoli is a town in Ratnagiri district, Maharashtra. It is 215 km (134 mi) from the state capital of Mumbai. The town is located at an altitude of 800 ft (240 m). Also, called "Mini Mahabaleshwar" because of its cool climate throughout the year. It is 8 km (5.0 mi) from the Arabian Sea and acts as the main town (Taluka headquarters) for several small surrounding villages such as Anjarle, Mandivali, Sarang, Bandhtivare, Bhopan, Harnai, Dabhol, Navse, Unhavare, Jalgaon, Gavhe, Gimhavane, Asud, Vanand, Kherdi, Karde, Visapur, Murud and Umberghar. 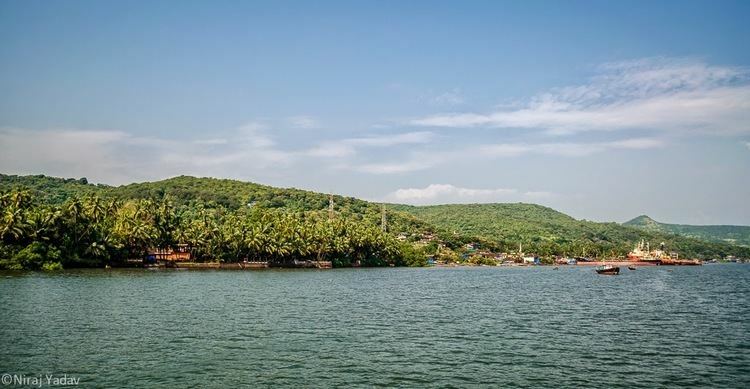 Dabhol - Dabhol is a port which is 28 km (17 mi) south of Dapoli. The Dabhol Power Plant by Enron is situated near Dabhol. The Plant has now been taken over by Ratnagiri Gas and Power Private Limited (RGPPL). The power station is Indias largest operating gas based combined cycle power station. Harnai Fish Market - Harnai fish market is assumed to be one of the largest supplier of fish to Maharashtra. Many kinds of seafood including lobsters are available in the market. Kadyavarcha Ganpati - Anjarle is famous for the "Kadyawarcha Ganpati" (Ganesh temple situated on a cliff). This ancient and magnificent Ganesh temple was originally constructed using wooden pillars in around 1150 AD. It was renovated during the period between 1768 and 1780. A magnificent view of the thick plantation of coconut trees, betel nut trees, Suvarnadurg Fort, blue sea and surrounding hills from the top. Keshavraj - This location is between Dapoli and Asud Pul. The access is via Dabkewadi and after crossing the small river, the steep climb is refreshing. At this elevation, the fresh water is a marvel and is said to be originating from a tree trunk. 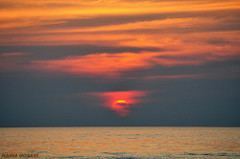 Murud Beach - Murud is a small town on the sea coast, about 12 km (7.5 mi) from Dapoli. Panhalakaji Caves - Located on the Dapoli-Dabhil Pangari road, Panhalakaji Caves can be accessed from Khed via Vakavali & Tetavali. The place is situated deep in the valley near the confluence of the ‘Kotjai’ and ‘Dhakti’ rivers. Their are around 29 “Leni” or caves. Suvarnadurg and Kanakdurg Forts - Located 17 km (11 mi) from Dapoli at Harnai, the Suvarnadurg fort consists of two forts. Kanakdurga is the land fort and Suvarnadurga is the sea fort. The forts were originally built by the Adil Shahi dynasty and later captured and fortified by Chatrapati Shivaji Maharaj in 1660. Unhavare - Hot Water Springs - Their are natural hot water springs at Unhavare Village 35 km (22 mi) from Dapoli. Around 21 km (13 mi) from Vakavali & 17 km (11 mi) from Tetavalis is Dr. Deodhar farms (called Keshav Baug). Dr Deodhar is an Expert In Algae from Mumbai University. People from surrounding areas come here regularly to dip in the Hot Sulphur water springs. The water is said to cure skin ailments.